I’m a huge Supernatural fan. Maybe I just watch too much TV. But, okay, all jokes aside, we’ve had so many CW actors on the site now, it’s pretty crazy we haven’t had Jared Padlecki yet. I’ve seen some pictures of him wearing some fake abs for Supernatural, but new pics, including some of him and Stephen Amell, have changed my mind! 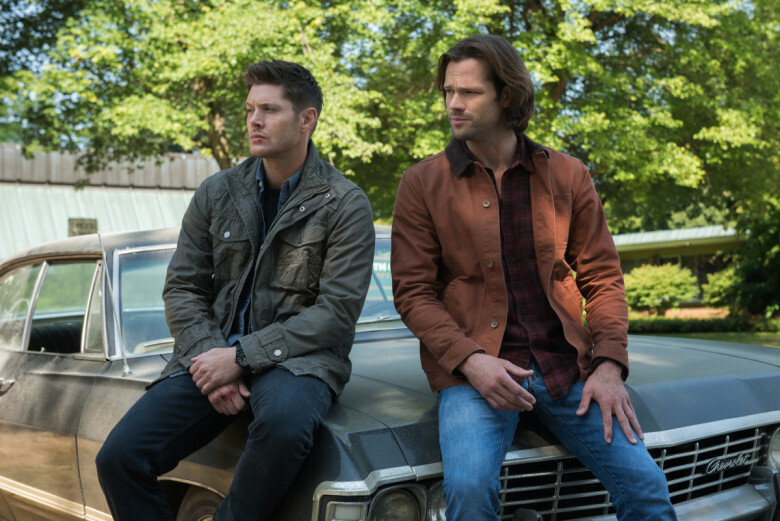 Oh, and before we get started, I’m telling you guys right now to please go watch the Scooby-Doo / Supernatural Crossover Event on The CW! He’s actually among the tallest we’ve had on the site. Only The Mountain and Joe Manganiello stand above him, and then he’s right there with Ben Affleck, Dwayne Johnson, Ray Fisher, Jason Momoa, and a few others. Right below that is the average for male celebs we see at SHJ. That’s guys like Chris Hemsworth, Chris Pratt, Chris Evans, Stephen Amell, Hugh Jackman, Adam Driver, and so many more. And, of course, we also have a shorter range of celebs on SHJ with dudes like Mark Wahlberg, Zac Efron, Kit Harington, Tom Holland, Daniel Radliffe, and a handful of others. Jared Padalecki is looking pretty ripped with Stephen Amell (shown above). That’s the picture I was talking about before, if you missed that. 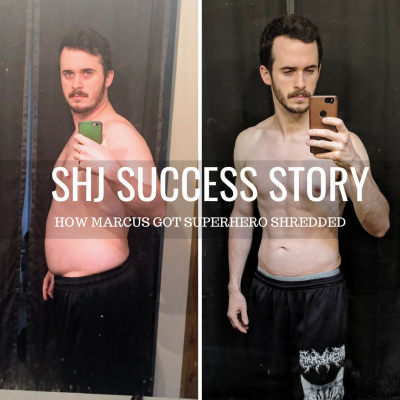 In which he packed on 20+ lbs to get his body in the best shape of his life. To do this he utilizes a clean diet, in order to keep the fat gains minimal, but also made sure his daily caloric intake was high enough to tack on the pounds. We’ve seen guys like Hugh Jackman utilize intermittent fasting to do this in order to stay absolutely shredded throughout the process. 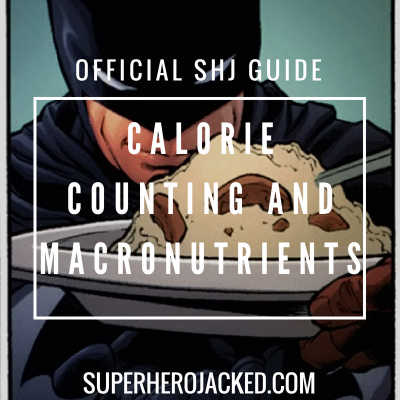 But, you can also check out some information about calorie counting, but don’t forget that it’s not always perfect. Either way the best way to go about choosing your diet plan is to shoot for sustainability. 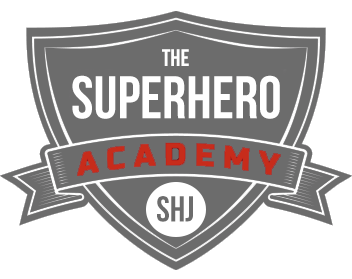 That’s what we do with The Academy’s Nutrition Classes (Spartans, Vikings, Minimalists, SuperHumans, Monks, Samurais, Hunter Gatherers). Swing by the Nutrition Pillars on the site to check out some of your other options as well, and give some things a try. It’s not always the first diet that sticks, and that’s okay. I’ll leave you guys off with the fact that his trainer also has him snack on 600 calorie protein snacks/shakes in order to get in the daily protein and calories! There isn’t much for a specific workout routine for Padalecki, but there are some good resources to base the building of one off of. 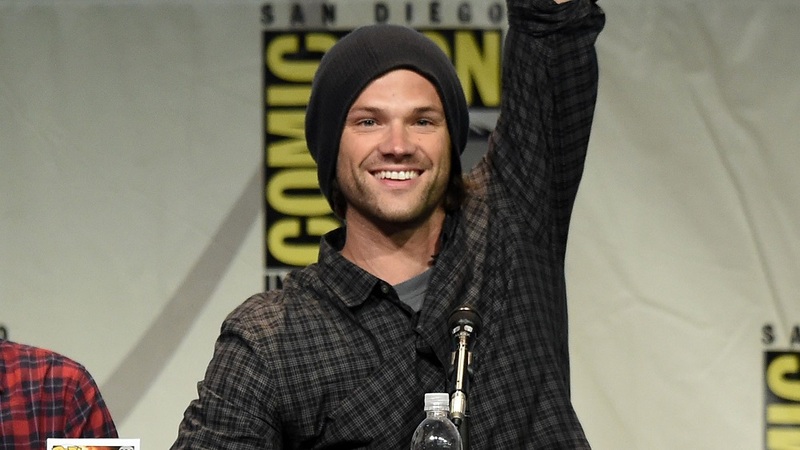 So we know Padalecki was increasing the weight, likely even using some form of pyramid training to do so. We’ll also assume he was getting in some compound lifts as well. I’ve even see some videos of him doing tire flips and other circuit type training, so his training isn’t strictly for physique, but also to be in overall great shape. I also found that some sites give Padalecki a 3-4 day training split, but this is likely them creating the routine based on his physique as well, so I’ll utilize them, but not take them for a certainty. We’re going to be lifting heavy, eating a lot (if you’re also bulking) of clean food, and also adding in some circuit and endurance training here and there as well. I’m going to be programming you 3 days of heavy lifting, and also give you the option to utilize 2 other days towards circuit style training as well. And, of course, there’s plenty more to choose from, but here’s a handful to get you started! Utilize the 5 circuits I gave you for day two or any of the others we have covered on the site. Or, go out and find some more awesome circuits to use. …Oh, or go for a hike, play some sports, or use your fitness is some other way!